This Ball was used during the April 17th 2018 game at Angel Stadium against the Boston Red Sox. 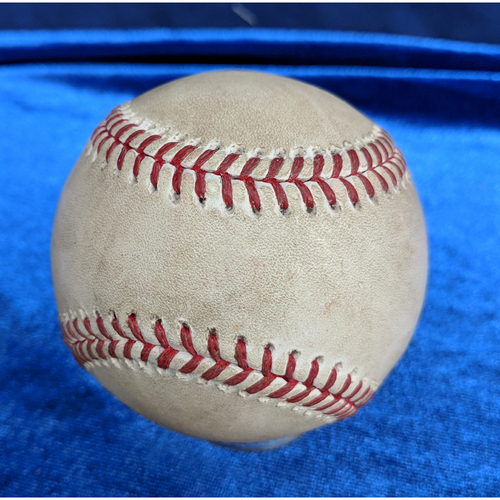 This Ball was Pitched by the 2018 American League Rookie of the Year, Shohei Ohtani, to the 2018 American League Most Valuable Player Mookie Betts in the top of the 2nd inning. Ohtani would pitch a Slider and Betts would foul this ball off.